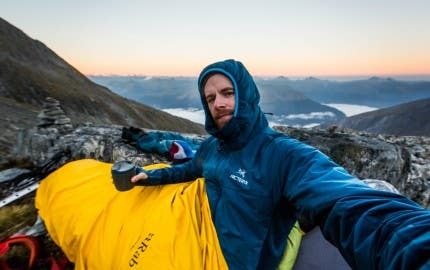 If you’re into the outdoors, you’ll be familiar with the name ‘Scarpa’ – a family company based in Northern Italy, with a great tradition of quality and innovation. 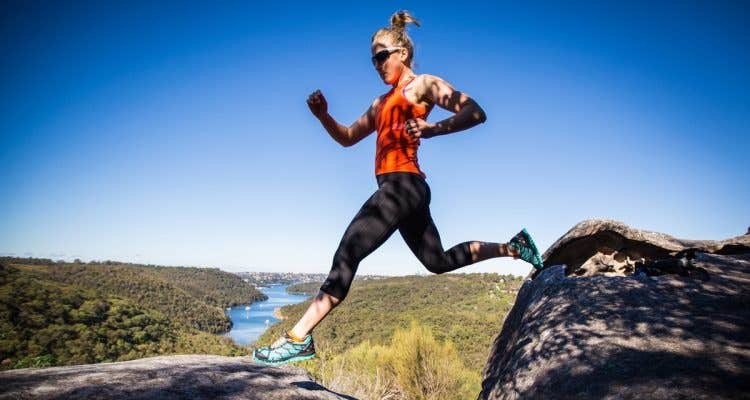 Having owned many pairs of their hiking, climbing and approach shoes over the years, we were intrigued to check out Scarpa’s new entry into the Australian trail running market, the Proton. With the official Proton description reading “High alpine runs? Ultra training? You name it. 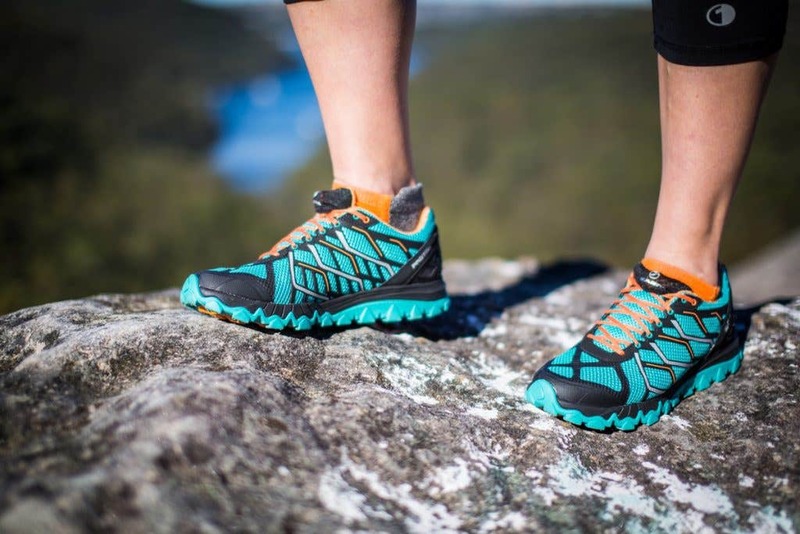 A cool, durable, high-mileage shoe is a must in your quiver” it seems clear Scarpa is positioning this as a performance shoe for the serious adventure runner, capable of taking on some pretty gnarly terrain. 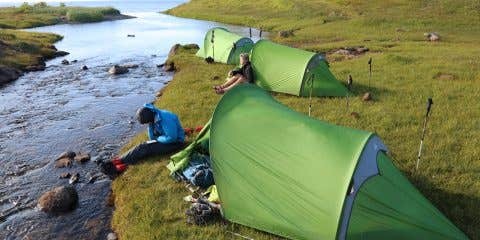 So we decided to rise to the challenge, testing them out on everything from urban runs to coasteering to rugged Budawangs backcountry. The Proton comes in standard and GTX (Gore-tex) versions for both men and women. We went for the standard version to keep our feet as cool as possible once Sydney summer temperatures start heating up. 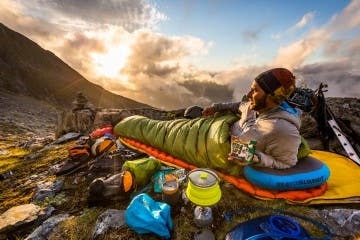 The full Scarpa Alpine Running lineup consists of the Proton as their high mileage allrounder (10mm drop); Neutron in the middle (6mm drop), down to the ultra light minimalist Atom (4mm drop). 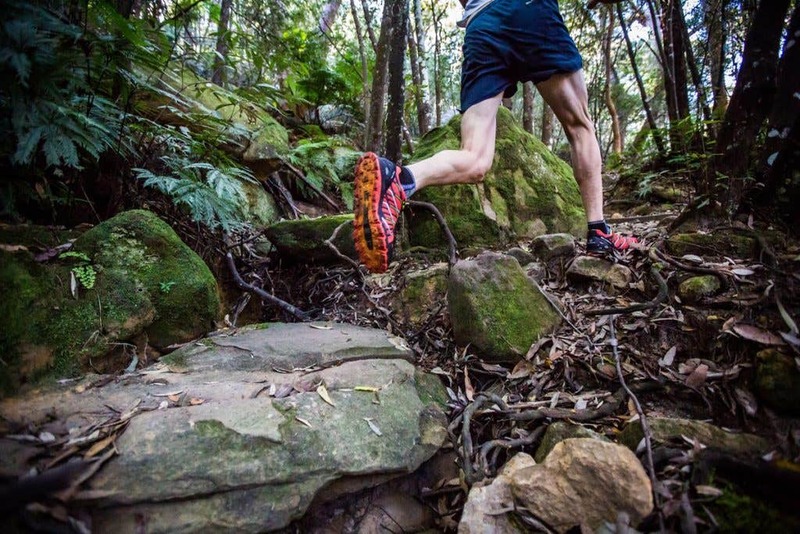 The allrounder Proton is currently the only Scarpa runner available in Australia and is found exclusively at Paddy Pallin. Scarpa has had some fun catering to trail runners’ love of bright colours. With Ben’s ‘tomato’ orange and Alice’s ‘maldive’ blue we definitely stood out from a distance (for those who prefer a more…subtle…approach, the GTX model is grey with colour accents). 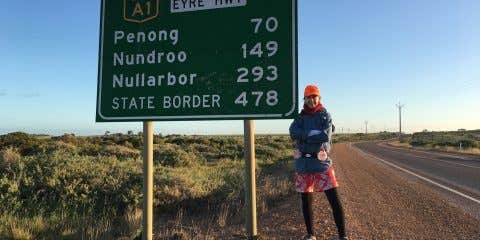 Alice was pleased to be able to colour match her new Protons with the tangerine Wigwam trail running socks, ignoring the fact that after a few muddy outings they’ll be tending towards brown like all her other socks. The stretchy mesh laces pocket on the tongue is a particularly neat little feature, as it’s a pet hate to have laces flopping around while you’re running, especially in dense bushy terrain. The welded upper gives noticeable support and the mesh areas are showing no signs of wear yet. We like the reflective detail on the back and sides for dark winter urban runs. As far as weight goes, the Proton is definitely more on the durable side, listed as 346g for a size 42 – with Ben’s size 48 flippers weighing in at 458g each. 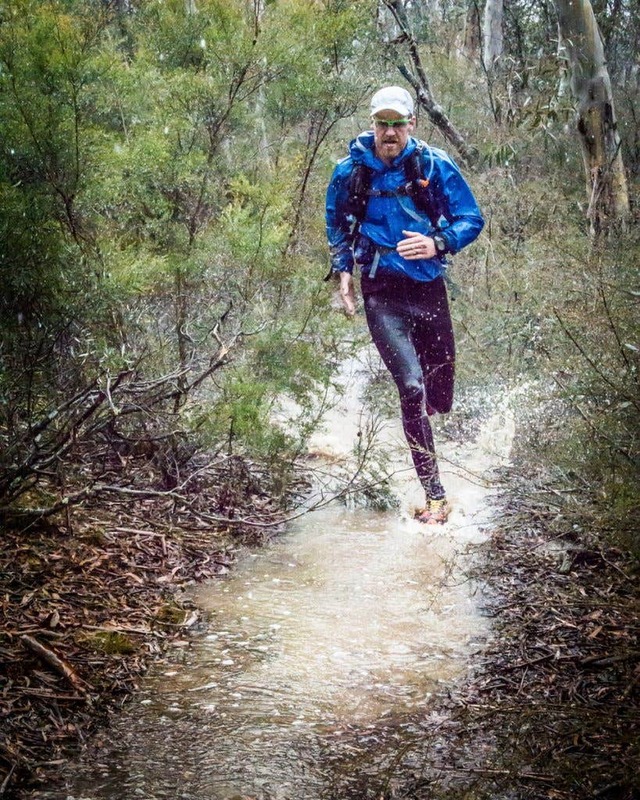 But it’s a weight you hardly notice on the trail, and worth it for the protection and cushioning they provide. 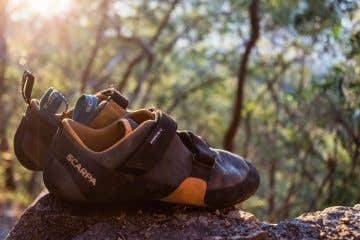 Scarpa put a lot of R&D into ensuring their range of lasts leads to footwear for every shaped foot, and busting the “I don’t fit Scarpa” myth with the Proton’s using a ‘TRP’ shaped last. Interestingly, for both Ben’s long feet that are slightly on the narrow side of average, and Alice’s smaller, broader foot, the fit was great with different lacing widths. Women do tend to have a slightly narrower heel in relation to the width of the ball of their foot, even if they don’t have ‘dainty’ feet (Alice takes a size 40) and the differently shaped TRP last and heal cage reflect this – meaning no heel pulling. 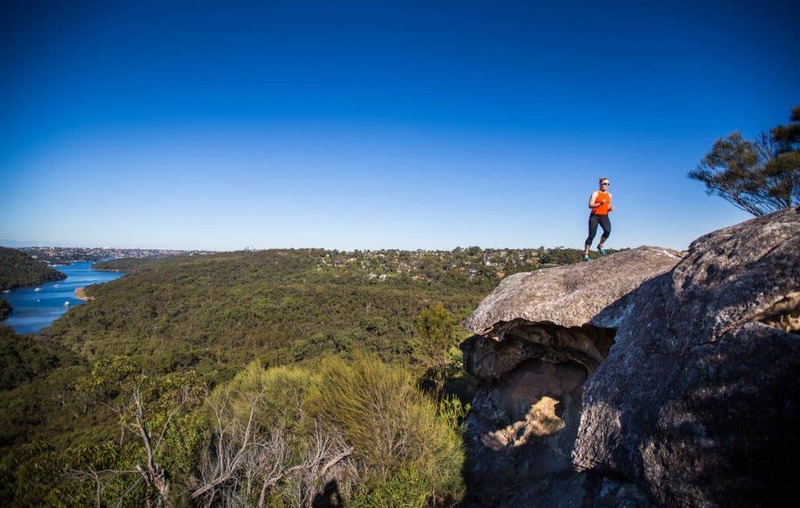 NSW makes a great trail-running playground when you’ve got new shoes to test out. First stop, rockhopping around Garigal National Park. This is a pretty technical track to hit in a new set of shoes, so luckily they felt fairly comfortable straight off the bat. What struck us immediately was the ‘ultragrip’ sole – they’re not exaggerating. Our feet felt totally glued up and down near-vertical rock faces. 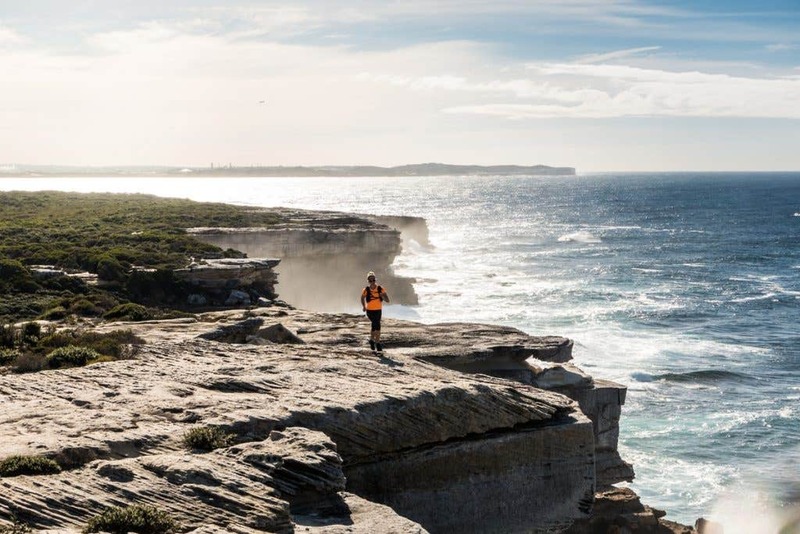 While this was in dry conditions, Alice found the same thing coasteering around Port Macquarie and surrounds in the rain – the soles stayed grippy even on wet, slimy rocks, sand and coastal clay. 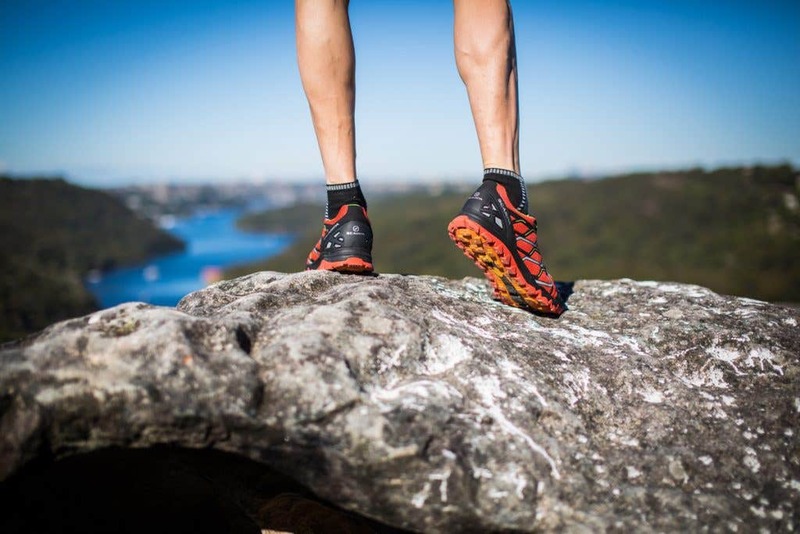 Admittedly the Protons are not quite as nimble for fine-tuned toe placement on rocky trails as some of our ‘zero drop’ race shoes, but make up for it in foot protection. 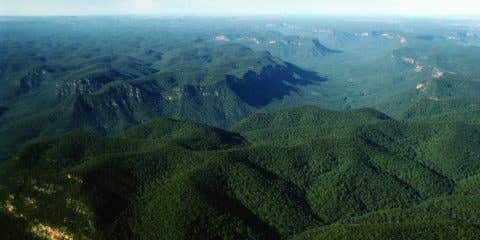 Next up, Ben decided the latest set of #SydneyStorms was the ideal chance to go backcountry bush bashing in the Budawangs. After ticking off a 2 to 3 day loop out to Corang Arch in 5 hours he found the shoes were totally comfortable after only a couple of runs, and the toe box protection did what it said on the packet: “lightweight toe protection lets you run and hike the gnarliest trails without sacrificing your feet.” …Which was lucky as some people – who need not be named but may be mentioned in this article – may have questioned his decision at the time to take on an epic run in a new set of runners. Finally, until we move to live in a treehouse up the side of a mountain, our weekday running will continue to have urban sections. So it’s great that the Proton’s Vibram Genesis soles with their nice deep lugs still have enough support and cushioning for the lugs not to dig into your feet on concrete (like we’ve found with some more minimalist shoes). Obviously not their primary purpose, but good enough to get us from home to the park. Ben I found them great for a mix of terrain, and it looks like they are going to hold up well as a high mileage all rounder. 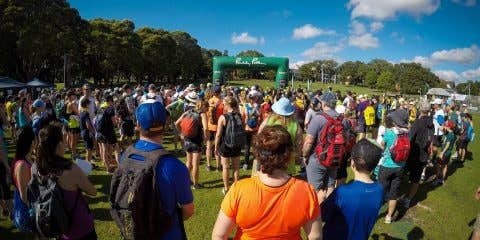 I can see myself taking them on many more rogaines, adventure races, laps of Centennial Park (including the concrete bits) and on our favourite Blue Mountains trails. At this stage in the game it’s hard to deliver major innovation in trail runners, but the shoes certainly have the legendary Scarpa quality. Alice If you don’t have the luxury of owning multiple pairs of trail shoes, these are definitely worth considering. They’ll take you through everything from a short run up to and including a day walk, and look set to last well. 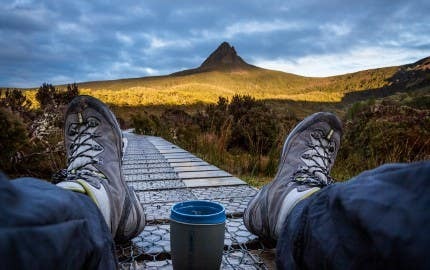 For me personally they’re ideal for endurance adventures and events (or..ahem…sub-optimal fitness), when I’m doing a mix of running and walking and appreciate that bit more support – even if they’re not quite as nimble as some of my more minimalist shoes. Love the ultra-grip soles and the bright colours. 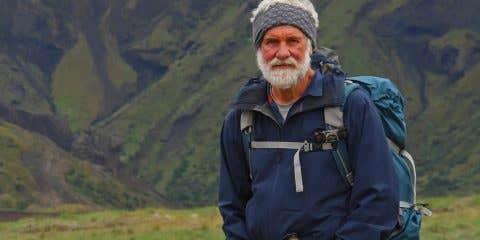 Ben is a landscape and adventure photographer and long time outdoorsman. He has a passion for capturing people challenging the elements. 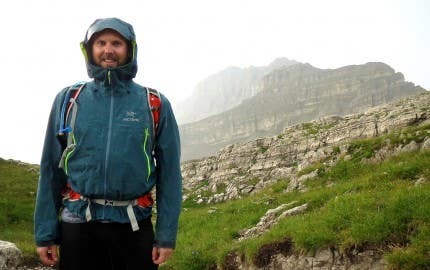 Coming from a background of climbing and mountaineering, Ben now enjoys competing in expedition length adventure races - because nothing spices up your trail running, mountain biking and kayaking like adding wilderness navigation and intense sleep deprivation. 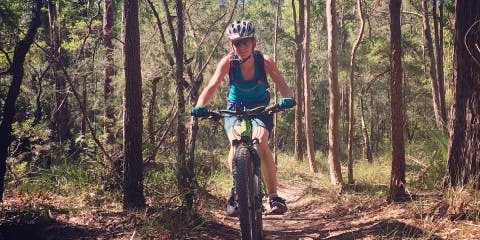 Alice owns more bicycles than she has fingers (the legacy of a misspent youth racing competitively), but now rounds out her two wheeled exploits with trail running, yoga, and the odd adventure race. She is always counting down the hours to her next outside 'fix'. 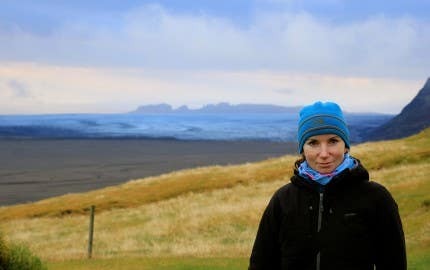 With over a decade spent working in the outdoor industry, Alice has loved helping more and more women to discover their passion for adventure. 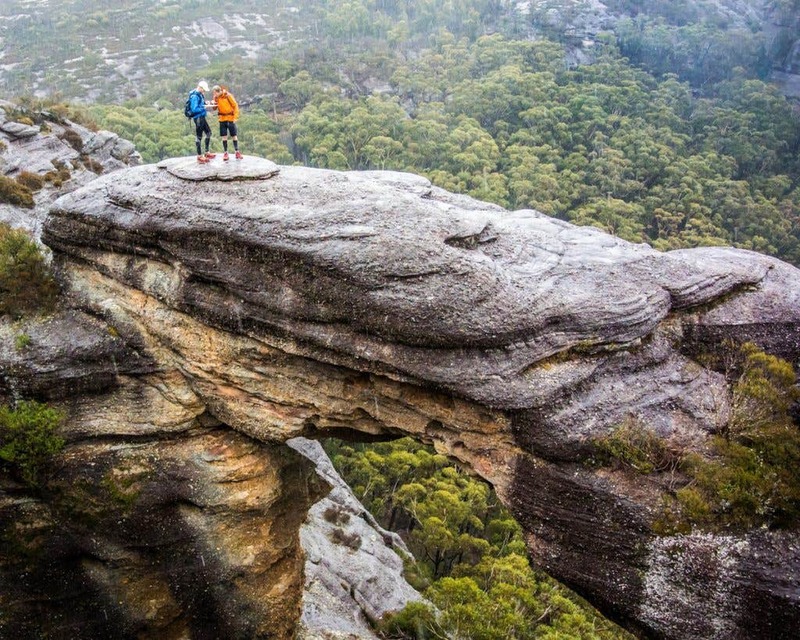 This husband and wife team think adventures are even better shared.